There have been several mentions over the past few months about ways to maximise the funds we have to donate to our charity partner Refuge at the end of the GLYC 2014. You may have noticed some (hopefully) enticing references to a raffle, or been intrigued by the hint of a big prize that will be handed out at the after-party. It's also entirely possible that all of this is news, so let us take this opportunity to clear up any questions. Last year's after-party was awash with door prizes that we had a blast handing out, thanks to the incredible generosity of our many sponsors. This year they have stepped up to the plate yet again, and there is an embarrassing pile of loot piling up in Rachel's studio that is coming the way of all Yarn Crawlers. Some of it is goodies for the goody bags, but there's also a large collection of bits and bobs for door prizes and the Grand Prize to End All Door Prizes: the Raffle Basket. All in all, it's going to be a grand towering pile of woolly, yarny, knitterly/crocheterly love for one lucky winner. The next big question is, of course, how do I get my grabby little hands on this Basket of Joy? The answer is simple: by entering the raffle. You can get raffle tickets in one of two ways. 1) Buy them at the after party, where they will be available at £1 per ticket (or 6 tickets for £5). 2) Bring a knitted item for Refuge and exchange each item for three raffle tickets at the after party. In order to help get your inspiration flowing, we've done a bit of a search on Ravelry to find some suitable free patterns. What about Barley from GLYC sponsor Tin Can Knits? Make matching hats for Mum and baby, all from the same pattern. 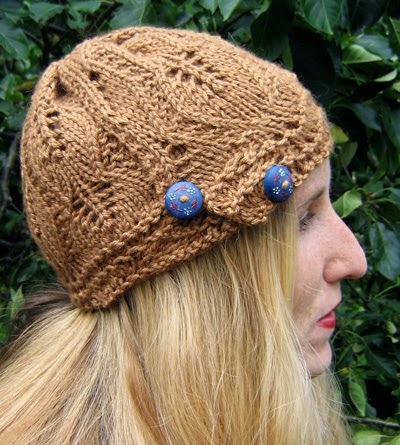 Or the Star-Crossed Slouchy beret by Natalie Larson, with its lovely soft cables. Here's a really cute hat and scarf combo from Drops design, sized from 3-12 years. Or this hat/scarf/mitten set for babies and toddlers, also from Drops. What about older kids? 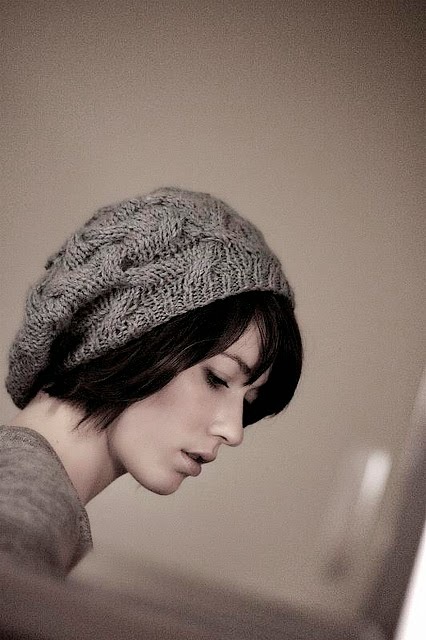 Aviator by Wei S. Leong is a super cool hat with scarf extension all in one. And Duet by Linda Wilgus is a hat that can morph into a scarf/cowl and back again. Per usual, the Ravelry advanced pattern search makes it super easy to find free patterns. And if you search for hat AND scarf, or hat AND mittens, you find all sorts of patterns that include both. So pull out those needles and hooks, and get going! If you need yarn, let us know! 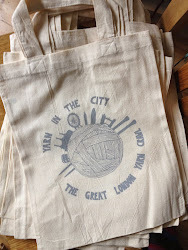 We've got some yarn available for this project, so shoot us an email to greatlondonyarncrawl AT gmail DOT com, or PM stitchalli or porpoise on Ravelry, and we'll get you some supplies. Remember, every item you bring for Refuge will get you a three free raffle ticket, and provide warmth to people going through difficult times this winter and beyond. Thanks, and we'll see you soon!